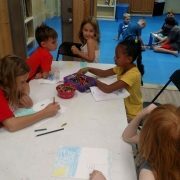 At Asheville Sun Soo Martial Arts Spring Break and Summer Day Camps, children will enjoy a variety of activities including self-defense, character building, arts and crafts, movies, swimming, games, “mad science” and field trips! 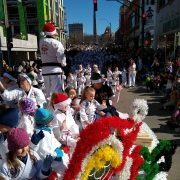 No prior martial arts experience necessary, and your child does not have to be a student with us in order to participate. *Standard camp schedule is from 9am – 3pm. For more information, please call us at 828-505-4309 or stop by the Asheville Sun Soo front desk. Registration is limited to 30 students. Register early to reserve your child’s spot! https://www.martialartsasheville.com/wp-content/uploads/2019/01/IMG_20180618_090757917.jpg 1152 2048 Ms Smith https://www.martialartsasheville.com/wp-content/uploads/2017/07/Logo-Dark-Background-300x198.png Ms Smith2019-01-30 13:03:572019-01-30 13:18:442019 Asheville Kids Spring Break and Summer Camp Registrations Are Now Open! We are pleased to have Grandmaster Barry Partridge as a guest Grandmaster Instructor for our June 2018 testing. He holds an 8th degree black belt in Tae Kwon Do and has been practicing for over 40 years. He is a former USTA heavyweight champion and has been a coach to several US Tae Kwon Do Olympians. 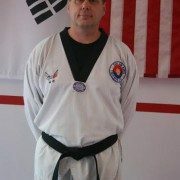 Master Partridge is completely devoted to teaching and spreading Tae Kwon Do. He is a superb athlete, and a warm and charismatic person. Master Partridge is also a devoted father. He has a son named Dominique, who also practices. We are excited to welcome such an accomplished and enthusiastic teacher, as well as an awesome human being, to our school for testing this weekend. Grandmaster Partridge will be teaching our Masters Club Seminar, Saturday morning at 10 AM, covering sparring and in-close self defense techniques . Please give Grandmaster Partridge a warm welcome when you see him in the studio on Saturday! We are pleased to announce that Master Mark Nathanson will be joining us at Asheville Sun Soo for our 2018 April testing. 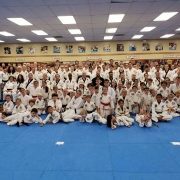 Master Nathanson has been a long time member and contributor to Taekwon-do International and a student of Grandmaster Kim’s for nearly 40 years. Master Nathanson is accomplished in his life both as a martial artist and as a podiatric surgeon. He is also a devoted husband to Emma – a high school teacher of English and Psychology, and father of three awesome kids – Sam (12), Maya (9) and Hannah (7). Master Nathanson is a fantastic instructor with a great sense of humor and we are excited to have him as a guest this weekend! 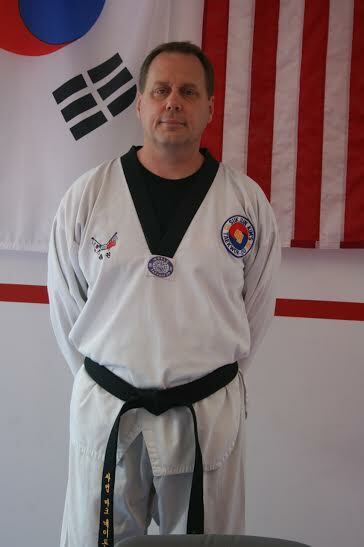 Master Nathanson began his Taekwondo practice in 1976 at Grandmaster Kim’s first school in Bergenfield, New Jersey. He had some boxing experience but wanted to expand his skill set and had a friend who was practicing with Master Kim at the time. In summer of 1979, Master Nathanson earned his 1st degree black belt and was, soon after, teaching basic classes at the school. 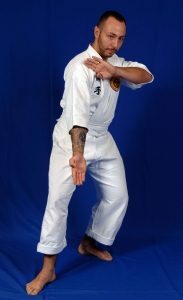 From 1979 to 1983 he competed on the Ohio State University TKD team and taught classes for the school’s Tae Kwon Do club. Master Nathanson’s early martial arts career was defined by intense training and frequent competition. He says he has competed in 200-300 tournaments in his life…many that went well and many that didn’t. Some of his career highlights include competing for the USA in the Americas cup in 1980, being the captain of the Ohio State University team for 4 years straight, and competing in either the US collegiate nationals or the USA nationals for each year in college. Master Nathanson cites Grandmaster Kim as his greatest influence and says that he continues to look up to him after several decades of being his student. Master Nathanson also fondly remembers Master Ruben Cassenova, who has passed away, as one of his favorite teachers. Although Master Nathanson initially found him to be intimidating, he ultimately is grateful to Master Cassenova for teaching him how to be tough and how to exceed what he thought he was capable of. Another career highlight for Master Nathanson occurred when he was invited to train at the Olympic training center in Colorado Springs in 1980 after placing second in the middle weight category in the state of Ohio. After four days of high altitude training, he says he couldn’t wait to get home. He also traveled to Korea with Grandmaster Kim in 1995 and trained at the Kukkiwan (the world Taekwon-do headquarters) for “ten glorious days.” His last tournaments were in 2003-2006, and he counts himself as “lucky enough” to compete in and sometimes win grand championships in breaking, patterns, and sparring. Master Nathanson does not compete anymore due to his high rank, but he still misses it! Master Nathanson’s favorite element of Taekwon-do training is the constant search to find a better way to do things and then to try to find a way to impart that knowledge onto others – he says “it makes it feel brand new to me every day, despite the many years I have put into it. I love to see those that I teach actually ‘get it’… it is the greatest feeling one can have.” Master Nathanson also loves practicing and teaching basics. He enjoys the challenge of seeing how each individual person moves and then trying to figure out how to teach them how to use the Taekwon-do in such a way as to fit their body. As an instructor and as a practitioner, Master Nathanson believes that this process helps him to make improvements. As part of his life-long commitment to fitness and athleticism, Master Nathanson’s other interests include weight lifting, running or biking. He is also dedicated to working hard in the office to help his patients. However his ultimate passion is his family. His oldest son is autistic and struggles daily with his challenges, but has a huge heart and is considered to truly be the family’s gift. His daughters are active in sports, and are excellent students. His wife is a graduate of Columbia University and the Teacher’s College at Barnard. Master Nathanson has visited Asheville Sun Soo several times before, and loves Asheville. He is excited about seeing all of the instructors and students again. We are thrilled to welcome Master Nathanson back to Asheville for our testing this weekend. He is an exceptional teaching resource in the larger Taekwon-do community and we are lucky to have him as a guest judge. 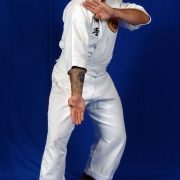 We are also looking forward to the seminar that he will be teaching Saturday morning for our black belts. Thank you Master Nathanson for taking time out of your busy life to be with us this weekend!